The relation between facial features and the rest of the internal body comes as no surprise in Chinese Medicine. Find out what your eyebrows and your nose area depict about your internal health. 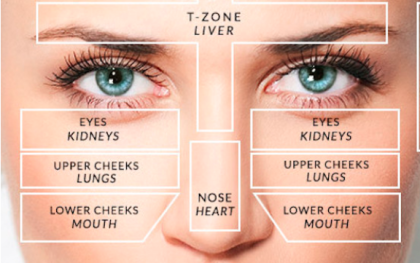 Did you know that each area of the face correlates with different organ functions in the body? Learn how Acupuncturists and Herbalists use Facial Mapping as a diagnosing tool! Join dermatology specialist Vanessa M. Ho L.Ac. as she elaborates about how acne is treated with acupuncture and herbal medicine. Dermatologist Specialist, Vanessa M Ho, L.Ac. demonstrates the proper technique when using a Gua Sha tool at home for Facial Rejuvenation. Join us on this series where we explain the benefits of this at-home practice! Learn these simple acupressure points you can do at home to keep your face glowing after your Facial Rejuvenation Treatments!